"Let's fall in love. 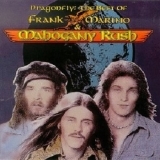 Its exciting"
Sorry, no matches on eBay for "Talkin Bout A Feelin (Live) Frank Marino Mahogany Rush". Sorry, no matches on iTunes for "Talkin Bout A Feelin (Live) Frank Marino Mahogany Rush".